Laikamagazine.com is a source of things inspiring and vegan, and a collection of extras from the magazine. DEAR FRIENDS AND SUPPORTERS, after a lot of hard work we are a nationally-distributed magazine! Woo-hoo! You can find us everywhere, from NYC to Oregon to Kentucky and even Germany. Please see the full list below. Grab our Premier Issue while it’s still on stands— it’s a Collector’s Edition. And coming to those locations in just a few short weeks is our Second Issue!! We are so excited and can’t wait for you to see. 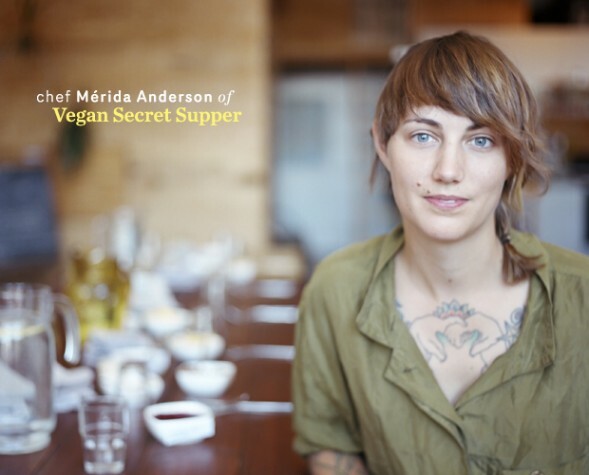 A MORE APT TITLE for Chef Mérida Anderson could be “food artist.” The founder of the perpetually-booked dining club Vegan Secret Supper, she is also a musician, ceramist and fashion designer. It’s no wonder that she has been applying similar creativity in the kitchen, re-imagining vegan cuisine with unexpected ingredients and flavors in a visually stunning presentation. And soon, you’ll be able to recreate Mérida’s unique blend of hip and playful haute cuisine right at home— thanks to her new cookbook Vegan Secret Supper: Bold & Elegant Menus from a Rogue Kitchen (Arsenal Pulp Press). Out on April 1st, it includes 150 sumptuous recipes, as well as plating and pantry tips, flavor-pairing suggestions and a focus on simple, seasonal ingredients. We covered VSS in a feature in our Premier Issue, and now Mérida shares an exclusive recipe with us from her upcoming book— a colorful and delicious dish that we had the good fortune to experience at one of her suppers. Enjoy! In a blender, purée all ingredients. Chill thoroughly. pepper and 1 tsp each fresh basil and cilantro sprouts. 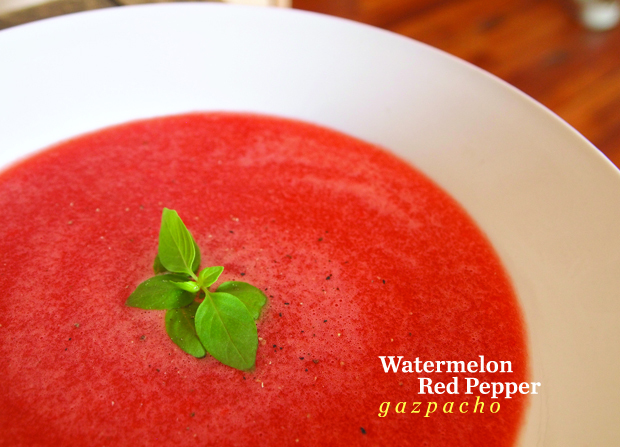 Tip: It’s great with yellow peppers and yellow watermelons, too!